Ships in 1 business day. 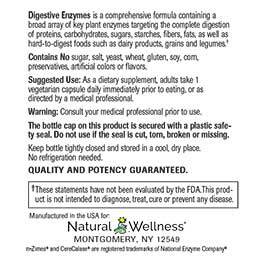 Try Digestive Enzymes risk-free for 90 days. If you don't love it, simply send it back for a full refund. No questions asked - For first time orders, we'll even pay for the return shipping. Never fear another food! From spicy meals to rich desserts, enjoy healthy, comfortable digestion. One of the most common health problems in North America today is poor digestion. Studies suggest that more than 95 million Americans suffer from poor digestion and this problem increases with age. You may be one of them. Rather than radical lifestyle changes, our digestive enzyme supplement can help you eat the foods you love without discomfort, and enable you to better absorb all the health-boosting nutrients you need to feel strong and healthy. 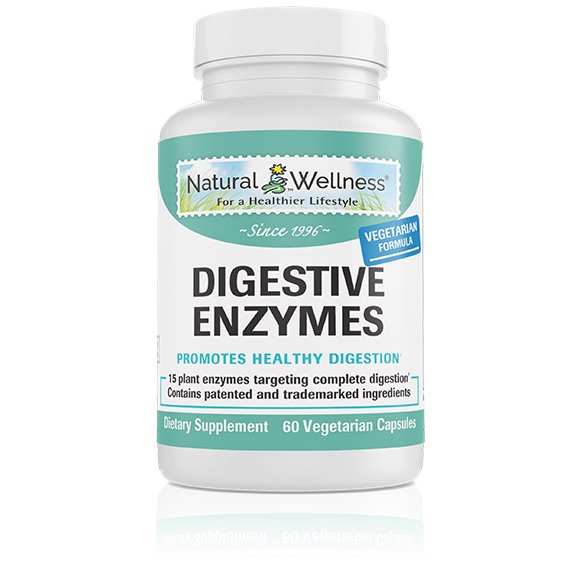 Digestive Enzymes is a comprehensive enzyme formula targeting the complete digestion of foods and their components, such as: proteins, carbohydrates, sugars, starches, fibers, fats; and even hard-to-digest foods such as: dairy products, grains and legumes. 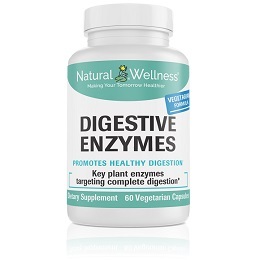 Digestive Enzymes is a comprehensive enzyme formula specifically formulated to improve digestion, increase nutrient absorption and reduce the side effects of poor digestion. Probiotics are bacteria found in the digestive tract. They are essential for good health as they balance the digestive environment, inhibit the growth of harmful bacteria, promote digestive health and boost immune function. When buying probiotics, look for a probiotic blend that delivers 5-35 billion live organisms to the intestinal tract. Though it may sound like a lot, keep in mind that your digestive system needs trillions of good bacteria to stay on an even keel, so don't be put off by the number of zeros involved! Prebiotics is a special form of dietary fiber that stimulate the growth and maintenance of good bacteria (probiotics) in the digestive system. Put simply, prebiotics are food for probiotics. Taking prebiotics helps probiotics work better and more efficiently. For this reason, a probiotic blend is much more beneficial when mixed with prebiotics. Digestive Enzymes taken orally or produced by the body break down food into digestible nutrients so the food can be absorbed and utilized by the body. Everything we eat: - dairy, meats, vegetables, liquids, and so on - has to be broken down into their nutrient pieces so their nutrients can be absorbed. Nutrients such as amino acids (from proteins), fatty acids and cholesterol (from fats), and simple sugars (from carbohydrates), as well as vitamins, minerals, and a variety of other plant and animal compounds all must go through this process. If we don't have enough digestive enzymes in the body, we cannot adequately break down our food—which means even though we’re eating well, we are not absorbing all that we can from our food. To maximize the heatlh of your digestive system, you may wish to combine Digestive Enzymes with a probiotic blend. To learn more about Ultra Probiotic Formula, click here. As a dietary supplement, adults take 1 vegetarian capsule daily immediately prior to eating a meal, or as directed by a medical professional. Please consult with a health care professional before starting any diet, exercise or supplementation program, before taking any medication, or if you have or suspect you might have a medical condition, are currently taking prescription drugs, or are pregnant or breastfeeding. Natural Wellness® supplements are recommended by healthcare professionals and are sold around the world. When developing, formulating and producing supplements, Natural Wellness® focuses on science, quality, and proven performance. Ingredients used are of the highest quality, and all supplements are manufactured in the USA under strict current Good Manufacturing Practice (cGMP) regulations ensuring all safety and quality standards are met. All products are guaranteed to give you 100% satisfaction in every way. If you are not completely satisfied with a product you purchased for any reason, return it to Natural Wellness® within 90 days of purchase, and you will be issued a complete refund of the purchase price (less shipping and handling). For any nutritional product you try for the first time, in addition to refunding you the purchase price, you will be refunded your shipping and handling, AND Natural Wellness® will even pay for the return shipping. Natural Wellness® truly takes the risk out of trying something new. 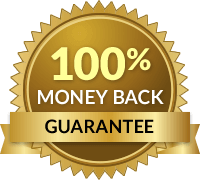 This is just one component of Natural Wellness' Super 7 Satisfaction Guarantee - which provides you with a risk-free, 100% money-back guarantee - along with the finest quality, service and security available online today. 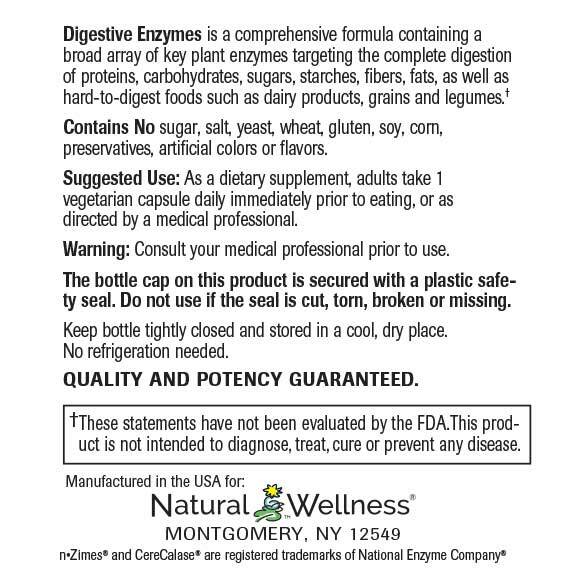 Digestive Enzymes is MANUFACTURED in the USA to meet FDA strict current Good Manufacturing Practice regulations (cGMP). Each ingredient is tested before production begins and the finished product is tested upon completion to ensure what is stated on your product label matches what's in each and every serving. Statements made have not been evaluated by the FDA. Products are not intended to diagnose, treat, cure, or prevent any disease. The information and products shown on this website should not be interpreted as a substitute for physician evaluation or treatment. Users are advised to seek the advice of a physician, and physician-users or other health professionals are advised to rely on their own training, education, experience, and standards of their profession. ©2019 Natural Wellness®. All rights reserved. 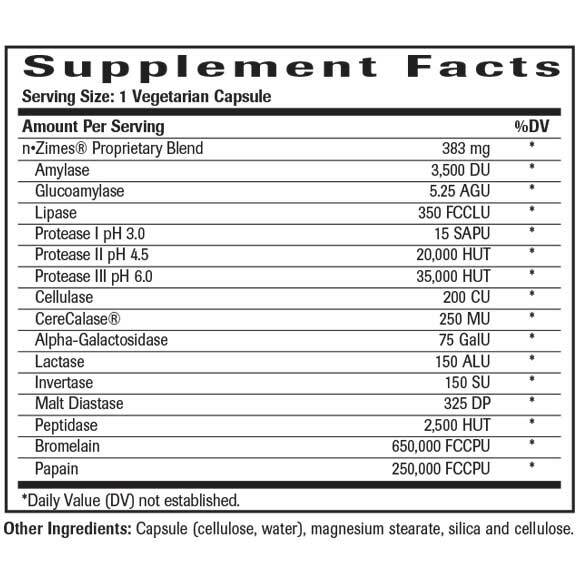 You have chosen to purchase supplements or learn more about a product or special promoted by LiverSupport.com. 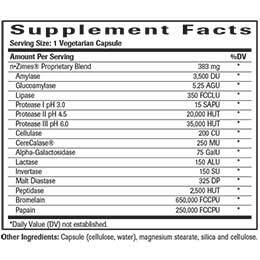 These supplements and specials are sold by NaturalWellness.com. Therefore, you are now being forwarded to NaturalWellness.com. 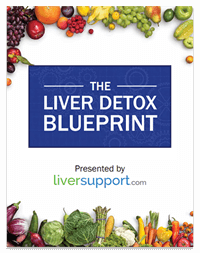 You should receive your email with a link to the Liver Detox Blueprint shortly. If you do not, please check your spam/junk folder. If you still haven't received our email after a few minutes, please feel free to contact us.